Pogrebinschi, Thamy and Ross, Melisa (Forthcoming): “Democratic Innovations in Latin America”. In: Handbook on Democratic Innovations. Stephen Elstub and Oliver Escobar (Eds). London: Edward Elgar Publishing. Pogrebinschi, Thamy (2018): “Can Participatory Governance improve the Quality of Democracy?” A Response from Latin America. In: Huber Heinelt (Ed.). London: Edward Elgar Publishing. Pogrebinschi, Thamy and Smith, Graham (2018): “Learning from Democratic Innovations”. In: Rethinking Society for the 21st Century, International Panel on Social Progress Report, Cambridge: Cambridge University Press. “Dwa miliony ludzi robi politykę, czyli o demokracji partycypacyjnej” In: Brazylia, kraj przyszłości?. Petelczyc, J and Cichy M. (Eds). Warsaw: Ksiazka I Prasa, 2016. Pogrebinschi, Thamy (2014): Wie großangelegte Partizipation möglich wird: Lektionen aus Brasilien. In: Dienel, Hans-Liudger / Franzl, Kerstin / Fuhrmann, Raban Daniel / Lietzmann, Hans J. / Vergne, Antoine (eds. ): Die Qualität von Bürgerbeteiligungsprozessen: Evaluation und Sicherung von Standards am Beispiel von Planungszellen und Bürgergutachten. Munich: Oekom Verlag. Pogrebinschi, Thamy (2014): Turning Participation into Representation: Innovative Policymaking for Minority Groups in Brazil. In: Carmen Sirianni/Jennifer Girouard (eds. 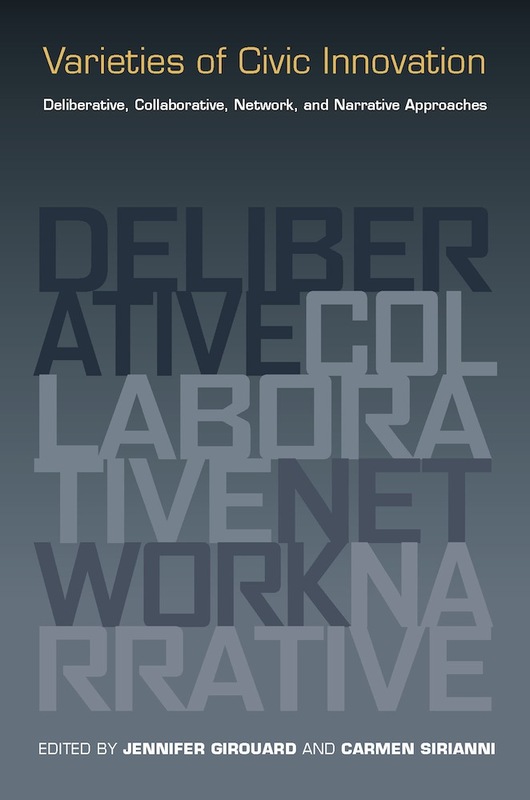 ): Varieties of Civic Innovation: Deliberative, Collaborative, Network, and Narrative Approaches. Nashville. Tennessee: Vanderbilt University Press. Pogrebinschi, Thamy (2014): Partizipation in Brasilien. 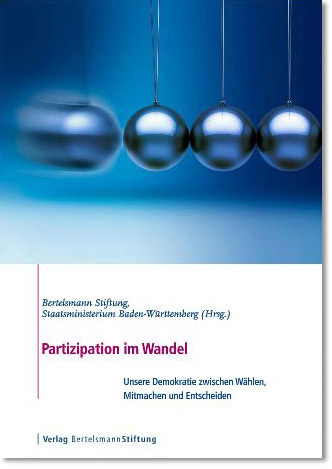 In: Bertelsmann Stiftung/Staatministerium Baden-Württemberg (eds. ): Partizipation im Wandel: Unsere Demokratie zwischen Wählen, Mitmachen und Entscheiden. Gütersloh: Bertelsmann Stiftung. S. 327-354. Pogrebinschi, Thamy/Santos, Fabiano (2013): Where Participation Matters: The impact of a national level democratic innovation on policymaking in Brazil. In: Römmele, Andrea, & Schober, Henrik (eds. ): Linking Citizens and the State. Baden-Baden: Nomos. pp. 173-194. Pogrebinschi, Thamy (2013): Conferências Nacionais e Políticas Públicas para Grupos Minoritários. In: Leonardo Avritzer/Clóvis Henrique Leite de Souza (eds. 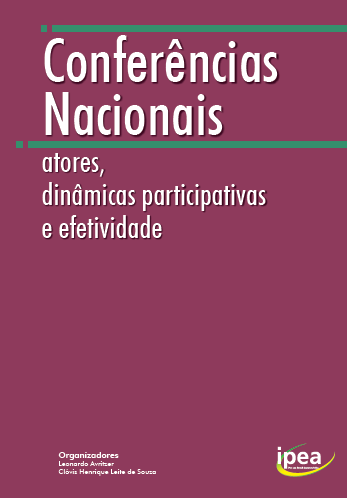 ): Conferências Nacionais: atores, dinâmicas participativas e efetividade. S. 243-277. Pogrebinschi, Thamy (2012):Participation as Representation: Democratic Policymaking in Brazil. In: Cameron, Max/Hershberg, Eric/Sharpe, Kenneth (eds. 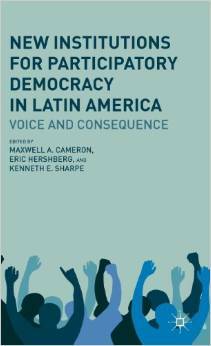 ): New Institutions for Participatory Democracy in Latin America: Voice and Consequence. New York: Palgrave MacMillan. pp. 53-74. Pogrebinschi, Thamy (2012): Participatory Policymaking and Political Experimentalism in Brazil. In: Kron, Stefanie/Costa, Sérgio /Braig, Marianne (Eds. 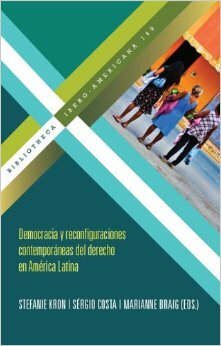 ): Democracia y reconfiguraciones contemporáneas del derecho en America Latina. Frankfurt/Madrid: Vervuert. pp. 111-138. Pogrebinschi, Thamy (2012): Participación como representación: generación democrática de políticas públicas en Brasil. In: Cameron, Max/Hershberg, Eric/Sharpe, Kenneth (eds. 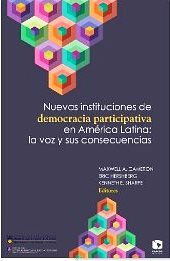 ): Nuevas Instituciones de Democracia Participativa en América Latina: La voz y sus consecuencias. México, D.F. : Facultad Latinoamericano de Ciencias Sociales, México. Pogrebinschi, Thamy (2009): O Direito como Prática. A teoria constitucional materialista de Marx. In: Daniel Sarmento (eds. 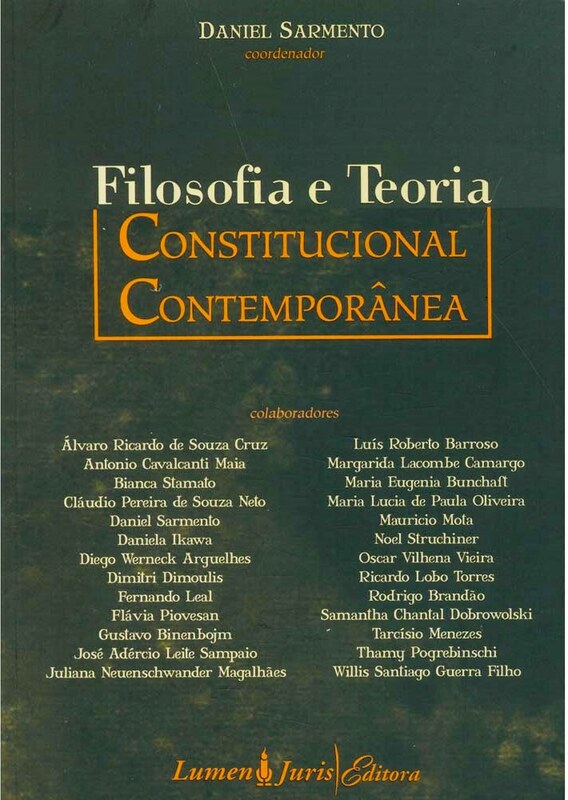 ): Filosofia e Teoria Constitucional Contemporânea. Rio de Janeiro: Lumen Juris. pp. 613-632. (“Law as Practice. Marx’s materialistic constitutional theory”). Pogrebinschi, Thamy (2009): Liberdade + Igualdade = Emancipação. In: Barreto Lima, Martônio Mont’Alverne/Bello, Enzo (eds. ): Direito e Marxismo. Rio de Janeiro: Lumen Juris. pp. 169-192. (“Freedom + Equality = Emancipation”). 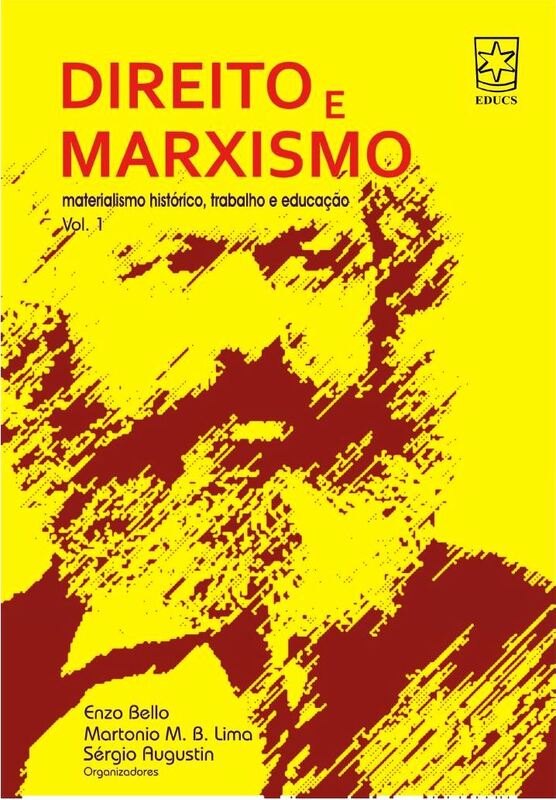 Pogrebinschi, Thamy (2008): A Contradição entre o Estado e a Sociedade Civil: Marx e o Dilema da Modernidade Política. In: Freire Nobre, Renarde (eds.) : O Poder no Pensamento Social. Belo Horizonte: Universidade Federal de Minas Gerais. pp. 90-105. (“The contradiction between state and civil society: Marx and the dilemma of political modernity”). Pogrebinschi, Thamy (2008): Marx e a verdadeira democracia: a autodeterminação contra a soberania. In: Marxismo, Capitalismo, Socialismo. São Paulo: Editora Xamã. pp. 225-240 (“Marx and true democracy: self-determination against sovereignity). Pogrebinschi, Thamy (2008): Uma outra Fundação para a Democracia”. 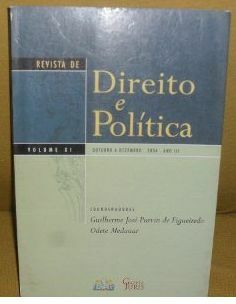 In: Pogrebinschi, Thamy/Franco, Augusto de (eds. ): Democracia Cooperativa. Escritos Políticos Escolhidos de John Dewey. Porto Alegre: Editora universitária da Pontifícia Universidade Católica do Rio Grande do Sul. pp. 143-152. (“Another foundation to democracy”). 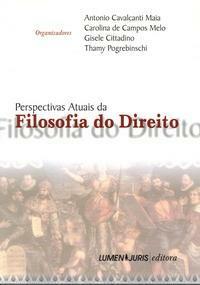 Pogrebinschi, Thamy (2006): “Thomas Hobbes” and “Contratualismo”. 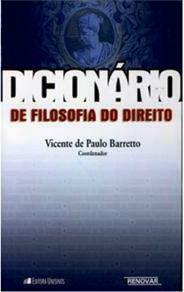 In: Paulo Barretto, Vicente de: Dicionário de Filosofia do Direito. Rio de Janeiro: Unisinos e Renovar. pp. 436-439 and pp.168-171. (“Thomas Hobbes” and “Contractarianism” in: Dictionary of Philosophy of Law). Pogrebinschi, Thamy (2005): O Problema da Justificação no Direito: Algumas Notas sobre Argumentação e Interpretação. In: Pogrebinschi, Thamy/Maia, Antonio C./Cittadino, Gisele/de Campos Melo, Carolina (eds. ): Perspectivas Atuais da Filosofia do Direito. Rio de Janeiro: Lumen Juris. pp. 449-474. (“The Problem of Justification in Law: Notes on Interpretation and Argumentation” In: New Approaches to the Philosophy of Law, Lumen Juris Press). Pogrebinschi, Thamy (2004): Direito, Sistema e Autopoiesis: breves considerações sobre a nova teoria dos sistemas de Niklas Luhmann. In: Purvin de Figueiredo, Guilherme José/Odete Medauar: Direito e Política. Porto Alegre: Síntese. pp. 155-168. (Law, System and Autopoiesis: Remarks on Niklas Luhmann’s New Theory of Systems In: Law and Politics). Pogrebinschi, Thamy (2001): Rumo à exigibilidade dos direitos econômicos, sociais e culturais nas Américas: o desenvolvimento da jurisprudência do Sistema Interamericano. In: Piovesan, Flávia (eds. ): Direitos Humanos, Globalização Econômica e Integração Regional: Desafios do Direito Constitucional Internacional. São Paulo: Max Limonad. pp. 669-684. (co-authored with James Cavallaro) (“Searching for the applicability of economic, social and cultural rights in the Americas: the evolution of the jurisprudence of the Interamerican System” In: Human Rights, Economical Globalization and Regional Integration). Pogrebinschi, Thamy (2000): O Direito de Asilo na Constituinte 1987-1988”. In: Araújo, Nadia/Almeida, Guilherme Assis de (eds. ): O Direito Internacional dos Refugiados. Rio de Janeiro: Renovar. pp. 319-342. (“The right of asylum in Brazil’s Constitutional Assembly of 1987-1988” In: International Law of Refugees. Renovar Press).